What will it be like to travel in the Hyperloop at 1,120km/h? You're seated in a sealed pod that's levitating inside the partial vacuum of a seemingly endless tunnel, and hurtling along at over 1,000km per hour. The Hyperloop concept sounds pretty spectacular from just about any angle, but for travellers it'll be a bit of a snooze. The passenger pods have no windows – and even if they did, the tunnel itself is simply one long sealed tube. 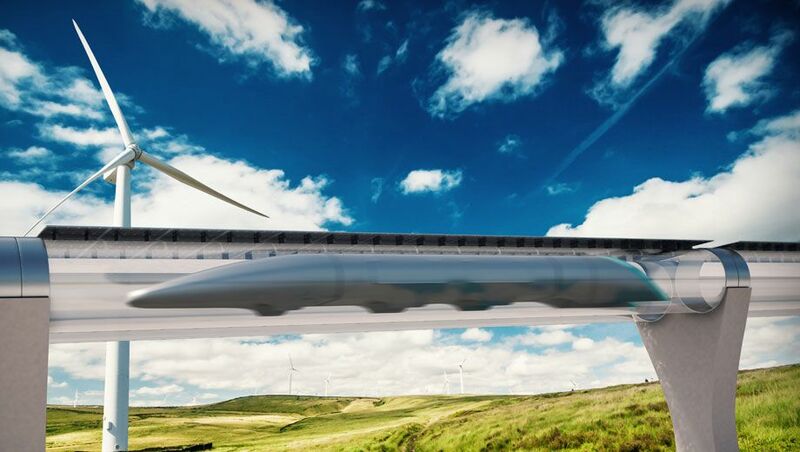 Hyperloop creator and dot-com billionaire Elon Musk described the project as "a cross between a Concorde and a railgun and an air hockey table." The driverless carriages sit a few centimetres above the track using 'magnetic levitation'. 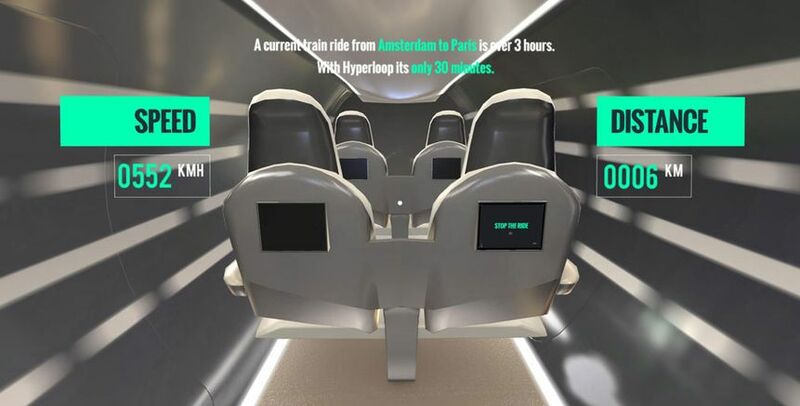 So, about that passenger experience... this virtual reality app (a free download for iOS and Android) explains how Hyperloop technology works, and then lets you take a simulated ride from Paris to Amsterdam. But if you can't have real windows with a real view, why not do it all with pixels cast on a touch-sensitive HD screen large enough to pass for a window? 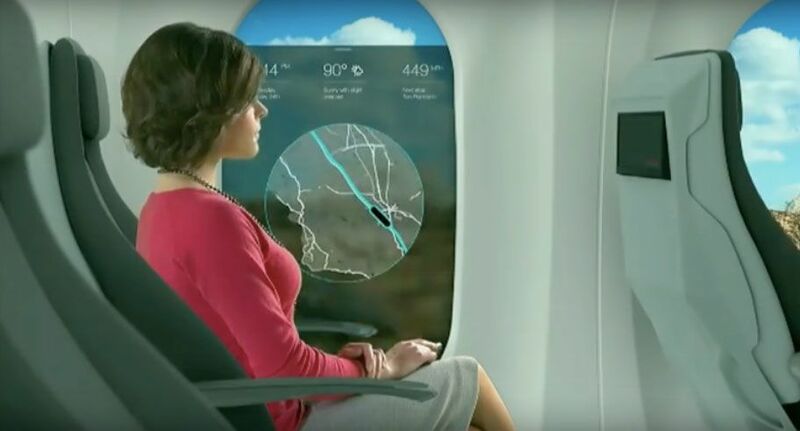 It's what tech developers Re'flekt term an 'augmented window experience', with 55 inch panels fitted with facial tracking so that the view adjusts as you turn and tilt your head. Not only would this help mitigate feelings of claustrophobia, but the screens would serve up information on the trip and your destination. Regardless of what passengers may or may not see, when will the world see the first commercial Hyperloop system? The Dubai government is currently examining the use of Hyperloop technology at the massive Jebel Ali seaport to shift container cargos from the port to an inland hub in the 2020s. With current oil prices it is myth – we have to wait till oil became too expensive to fly for justifying such enormous capital expenses. I disagree, I don't think we have to "justify" such enormous capital expenses. It's a new mode of transport. As of now, in theory, it is more efficient than flying. There's no reason companies shouldn't try and make it into a reality. Yes, it is a risk, but the potential is great. It can even kill the aviation industry in the (very) long run. It requires enormous capital investments and to recover money they need to shift pax in masses. Thus in short term it viable ONLY between cities with enormous traffic between them and in long term when flying became so expensive (because of oil cost) that increased ticket price will make possible to justify such investments. Anyway I am afraid that even if we see something like this in Australia, we will be last in queue with our vast distances and in average incredibly low density of population. BTW train for sure is far more efficient than plane. And it can run on electricity that can be generated without burning fossil, so why our trains in Australia in prehistoric stage comparing with some other countries? Because we have not got enough passengers and instead we have huge distances. My point was that the investment is justified because technological advancement is what we'll get. I'm all for it. I wasn't looking at it from an Aussie perspective nor for it's short term benefits etc. It's purely a long term technological advancement thing. Elon Musk, the creator of this concept, wrote in the white paper that he published that the Hyperloop would work transcontinentally as well. I have nothing against air travel, but oil is finite. We will have to find an alternative transport solution, sooner rather than later. “Hyperloop would work transcontinentally as well” – I am not even curious about this idea because I will die much earlier. Some may call it pessimism, but I think it is simple realism. Mate, nowadays they shift EVERYTHING to commercial basis (most stupid and notorious examples are Telstra and Qantas) and I am vigorously disagree that it should be this way. However we still need money (either direct or indirect from any project) to fund it. Currently this project financially unviable, period. Yes, we need to seek alternative source of energy and here in Australia it is definitely fast train driven by electricity generated by nuclear and lets fix this problem first before paranoid delusion about pipe with evacuated air from Sydney to Lax on the bottom of Pacific. And, BTW there are numerous projects of sub-orbital planes that fly on hydrogen that can be generated by electricity from green nuclear reactor. I believe that such idea far more realistic. There are parts of the world where it is simply too unsafe or impossible to lay infrastructure to support such technology. Not to mention the significant investment required in good governance, social welfare and associated political enfranchisement to ensure infrastructure laid down can be protected and preserved. Given that context, such projects can only occur within stable and established politys. 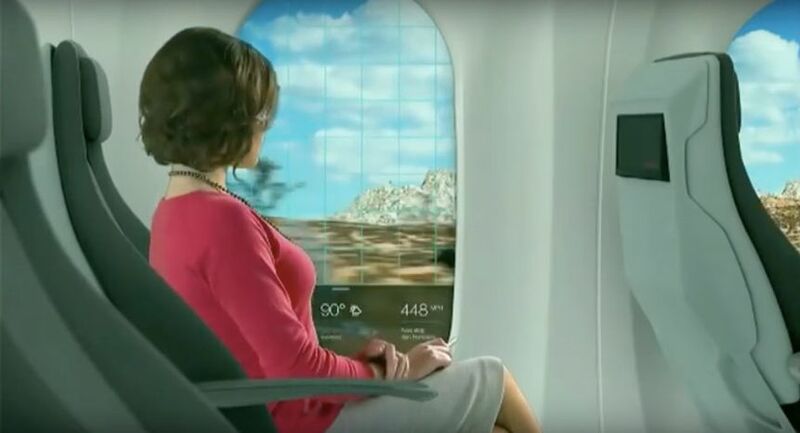 Would investment in such technology be justified, when industry still require investment in more traditional air travel to ensure adequate connectivity globally? Let's sort out the paradox of the combustion engine and the reliance on fosil fuels first before a mad cap idea like this is given more airtime. Nobody will ever know. The physics for this thing is basically impossible. Creating a 700 km vacuum with expansion joints that cannot expand, make it a joke. The idea of the thing is ok and could work on a very limited scale. But the risk for passengers on something this long is appalling. Agreed. The concept for this has been around for years. Elon Musk did nothing more then attach the "hyperloop" name to it. Better off investing in maglev and/or suborbital flight until we crack antigav. Seems my bathroom has had a hyperloop station the whole time - the number 2 to Bondi. Comment on "What will it be like to travel in the Hyperloop at 1,120km/h?"